Product prices and availability are accurate as of 2019-04-24 23:11:13 UTC and are subject to change. Any price and availability information displayed on http://www.amazon.com/ at the time of purchase will apply to the purchase of this product. HTM0778-01 Features: -Foldable, durable all-metal frame with space-saving design.-Great choice for both walkers and joggers, offers that keeps your stride smooth and steady at any pace.-Very low motor and belt noise, this treadmill allows you to keep the TV at a comfortable volume.-Offers four fitness programs, including weight loss, rolling hills, intervals and manual, all supported by the Aerosoft cushioning system.-Burn calories at any speed or resistance.-4 Preset programs, including weight loss, intervals, rolling hills and manual.-User capacity: 250 lbs.-Speed range of 1.0 to 10.0 miles per hour (0.1 Mph increments).-Manual 3-position incline range of 0 to 5%. 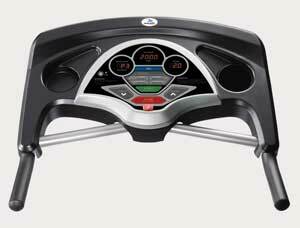 Includes: -Computer console, includes three LED windows that track your resistance level, speed, time, and distance. 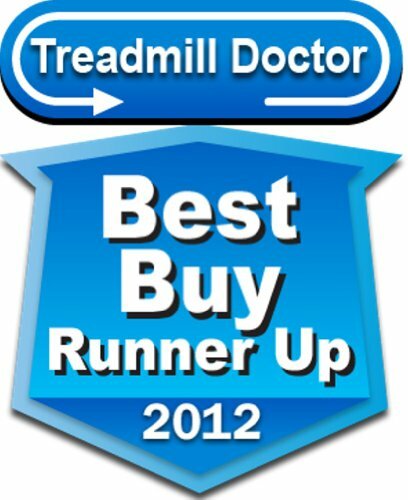 Specifications: -Motor: 1.50 Continuous-duty hp motor (2.50 THP) keeps treadmill smooth and steady at any pace. Dimensions: -Running area: 18'' x 47'' with aerosoft cushioning.-Overall dimensions: 56'' H x 31'' W x 64'' D, 132 lbs. Warranty: -Features include a thumb pulse heart rate monitor, a space-saving foldable design and a lifetime frame and 1-year motor warranty.-Warranty is eligible for home use only.-Warranty: Lifetime frame, 1-year motor, 90-days parts and labor. 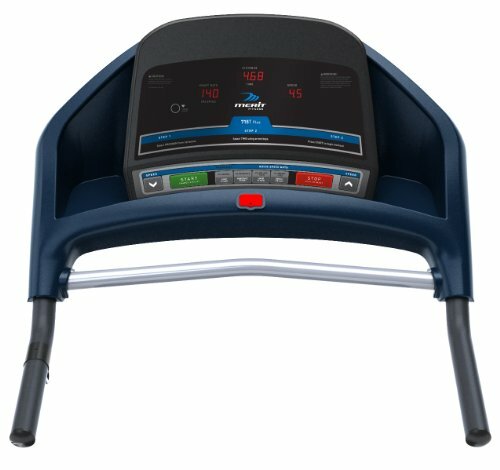 The Merit 715T Plus treadmill make it easy to start an in-home workout program that fits your needs and fitness level. The 715T Plus is outfitted with a top-quality 2.5 THP (1.5 CHP) drive motor that provides smooth power at all speeds, so even heavier walkers can enjoy a steady belt motion underfoot. 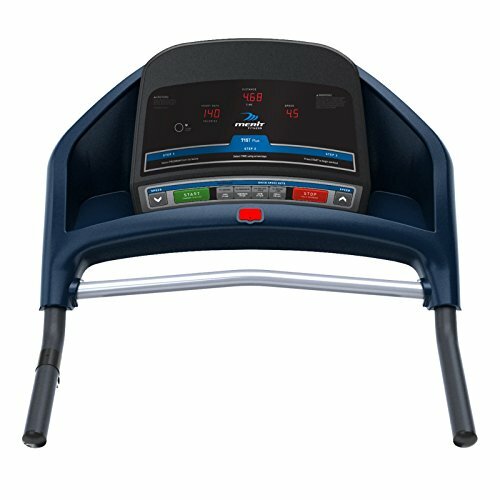 The treadmill's intuitive console controls, meanwhile, let you easily set your workout pace, from 0 to 10 miles per hour. And it's a breeze to monitor your workout progress thanks to the three-window LED display, which tracks your time, distance, speed, calories burned, and more. 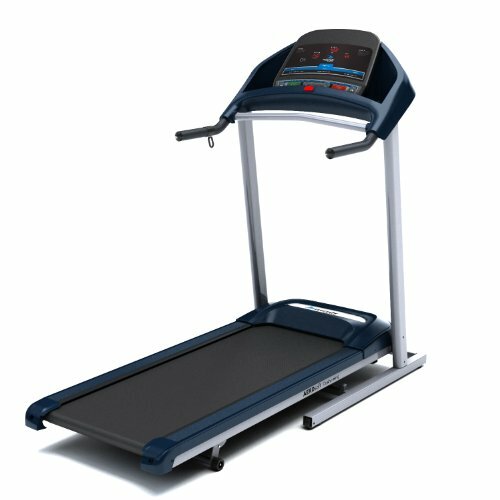 The 715T also offers a spacious 18-by-47-inch workout area that provides plenty of walking or running room, along with an Aerosoft cushioning system below the belt that isolates your feet and legs from shock. Other details include four preset programs, a three-position manual elevation adjustment (from 0 to 5 percent), a thumb pulse monitor, and a folding frame for easy storage. The 715T boasts a capacity of 250 pounds and carries a lifetime warranty on the frame and a one-year warranty on the motor. The intuitive console includes a 3-window LED display.